**An Association for Behavioral and Cognitive Therapies (ABCT) Self-Help Book Recommendation. Is your addiction taking control of your life? This book provides an integrative, seven-step program to help you finally overcome drug and alcohol addiction, once and for all. If you struggle with addiction, seeking treatment is a powerful, positive first step toward eventual recovery. But gaining an understanding of the causes of addiction—such as feelings of helplessness or loss of control—is also crucial for recovery. 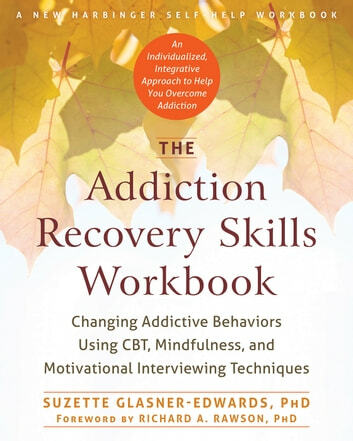 In this book, addiction expert Suzette Glasner-Edwards offers evidence-based techniques fusing cognitive behavioral therapy (CBT), motivational interviewing, and mindfulness-based relapse prevention to help you move past your addictive behaviors. On the long road to addiction recovery, you need as many tools as possible to help you stay sober and reach your destination. That’s why this is the first book to combine research-proven motivational techniques, CBT, and mindfulness-based strategies to help you create your own unique recovery plan. 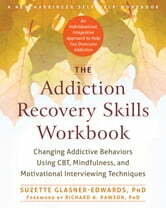 The book can be used on its own or as an adjunct to rehab or therapy. It also makes a wonderful resource for loved ones and professionals treating addiction. If you're ready to take that important first step toward recovery, this book can help you beat your addiction and get back to living a full, meaningful life.